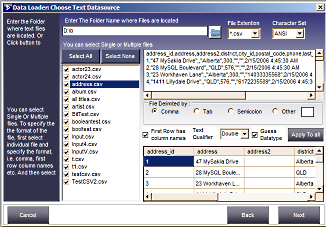 Excel / CSV files to MySQL Converter is a tool to Convert, Migrate data from Excel or CSV files to MySQL Database or from MySQL to CSV / Text Files or Fixed width files. 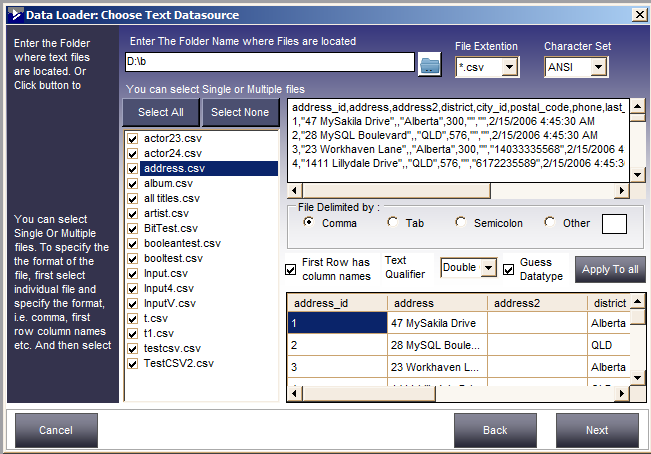 You can convert multiple CSV files or Excel sheets in one go to MySQL or convert multiple MySQL tables to CSV files. While converting you can map Excel / CSV columns to matching MySQL table columns, You can also filter rows by specifying WHERE conditions. 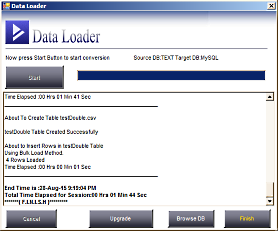 Excel / CSV to MySQL Converter comes with a built in scheduler so that you can run transfer jobs automatically at specified intervals. 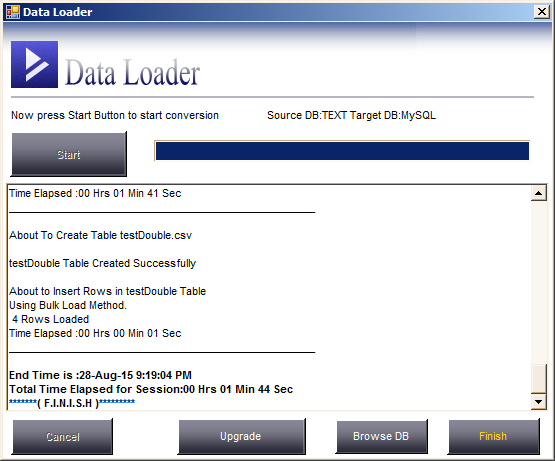 No need to run jobs repeatedly, just create a session define the schedule interval date and time and CSV to MySQL Converter will automatically executes your session in the background and records the actions in a specified log file. Supports all versions of MySQL. 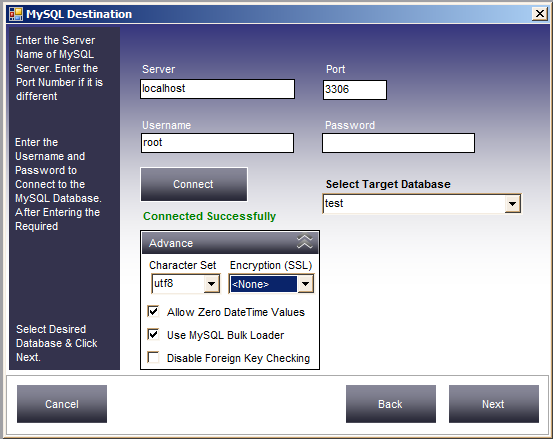 Doesn't need any ODBC or third Party drivers. UPSERT and INSERT loading options to Synchronize CSV / Excel sheets and MySQL databases.